Root canal therapy may not have the best reputation, but it can actually save patients money and additional dental issues when a tooth is compromised by decay or infection. Root canal therapy is a beneficial alternative to tooth extraction, as it can save dying teeth. While tooth extraction can ultimately prove costly and lead to significant problems for adjacent teeth, root canal therapy can restore a tooth’s full function. During a root canal, the pulp (live tissue inside the tooth), nerves, decay and bacteria from the affected tooth will be removed and replaced with medicated dental material, fully restoring the tooth. Root canal treatments can have beneficial effects that last a lifetime, though retreatment may be necessary due to new infections. Both dentists and endodontists, or root canal specialists, are trained to perform the procedure, typically in one procedure. After numbing the affected tooth, a sheet of rubber known as a dental dam will be placed around the tooth to keep it dry. 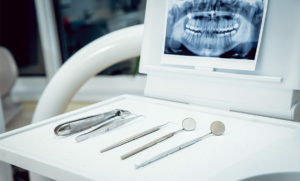 An access opening will be made on the top of the tooth, and a series of root canal files will be placed into the opening to remove the pulp, nerve tissue and bacteria. Decay will also be removed, as necessary, with special dental tools. After the tooth is thoroughly cleaned and prepared, it will be filled with special dental material and sealed with a permanent filling. Sometimes a temporary filling will be used if additional appointments are needed. After the filling is placed to cover the opening on the top of the tooth, a crown, or cap, will be placed on the tooth to protect it from breaking and restore its full function. After a root canal, the affected tooth may be sensitive for a time, but any pain will decrease as the inflammation caused by the procedure subsides and the tooth has healed. After root canal procedures, Dr. Terri gives Geneva, NY patients detailed instructions for hygiene and follow-up visits to ensure the effectiveness and longevity of your root canal treatment.